As 2017 comes to a close, SNEB would like to wish its members, partners and other industry professionals a safe and happy holiday season. As we reflect on the past year for the industry, we would like to provide the readers of the eCommunicator a look at the most accessed articles from the year. Our regular publication will resume Thursday, Jan. 4. From Aug. 17: SNEB mourns and remembers Dr. Samantha Ramsay, who died on July 30, 2017. 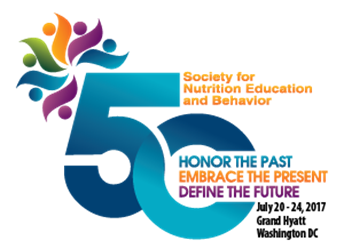 Dr. Ramsay, Associate Professor of Food and Nutrition, University of Idaho, recently presented an oral abstract at the SNEB 50th Annual Conference, titled Use of the Socioecological Model to Identify Factors of an Obesogenic Environment in Families with Young Children in Mexico. Prior to speaking at conference, Dr. Ramsay traveled to Africa with SNEB Past President Mary Murimi to present at Daystar University's Inaugural Chancellor's Forum 2017 in May. Daystar published this tribute in her honor. Dr. Ramsay has been a member of SNEB since 2004 and has served in various capacities within the Society, including serving on the 2016 Conference Planning Committee, SNEB Abstract Review Co-Chair, the Journal Committee for the Journal of Nutrition Education and Behavior, and serving on the Journal Board of Editors. She is survived by two sons, Ryan, 12, and Reidar, 9. Read the full obituary here. From Aug. 31: SNEB Ambassadors are SNEB members who are passionate about the nutrition education and behavior profession and the mission of SNEB to promote effective nutrition education and healthy behavior through research, policy, and practices. The goal is to have at least one SNEB Ambassador in each state and country with SNEB members. However, we are missing Ambassadors in the following areas: Arkansas, Arizona, Colorado, District of Columbia, Georgia, Kentucky, Louisiana, Maryland, Michigan, Mississippi, Montana, North Dakota, New Hampshire, Ohio, South Dakota, Tennessee, Texas and West Virginia. Learn more and sign up.